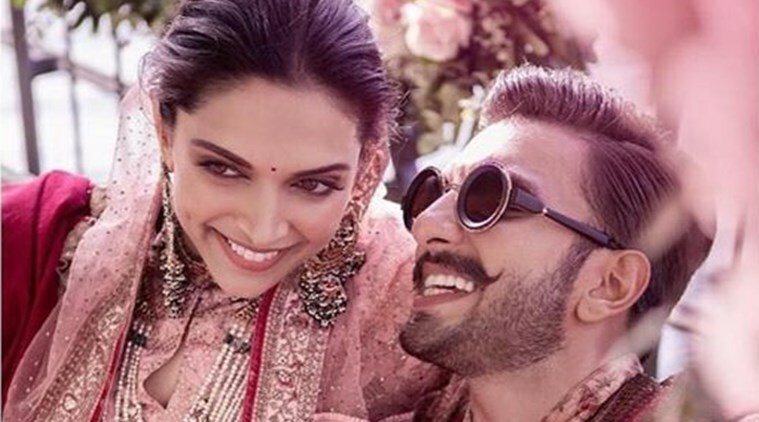 RANVEER Singh and Deepika Padukone become the hottest looking couple in their wedding pictures and they both born as perfect soulmates in their D-Day on 14th November 2018. Nowadays they are trending on every single news channel and become the top national news. From a big to small, every media-house, every single news-channel covers the hottest news of their wedding. 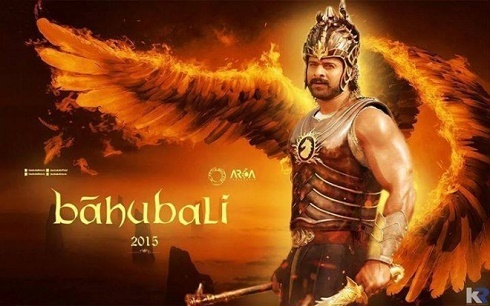 The fans are hitting the social media, nevertheless, and waiting to see Deepika, like a beautiful bride. The very post day of their wedding, they broke the internet out of the box searches were done, to see the glimpses of VeerDeep’s wedding, done at Lake Como, Italy. 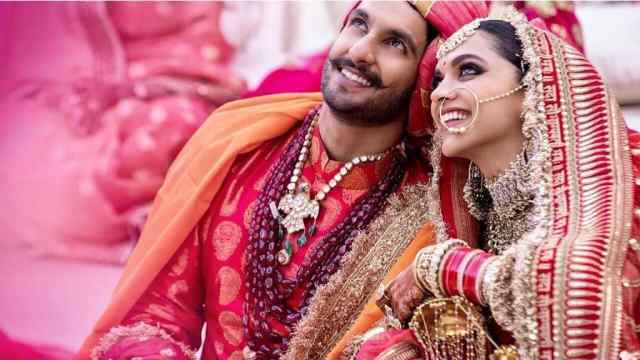 The pictures of their wedding flaunt the hearts of their fans since, in all wedding pictures, they are addressing as a fairytale wedding which makes you all swoon. 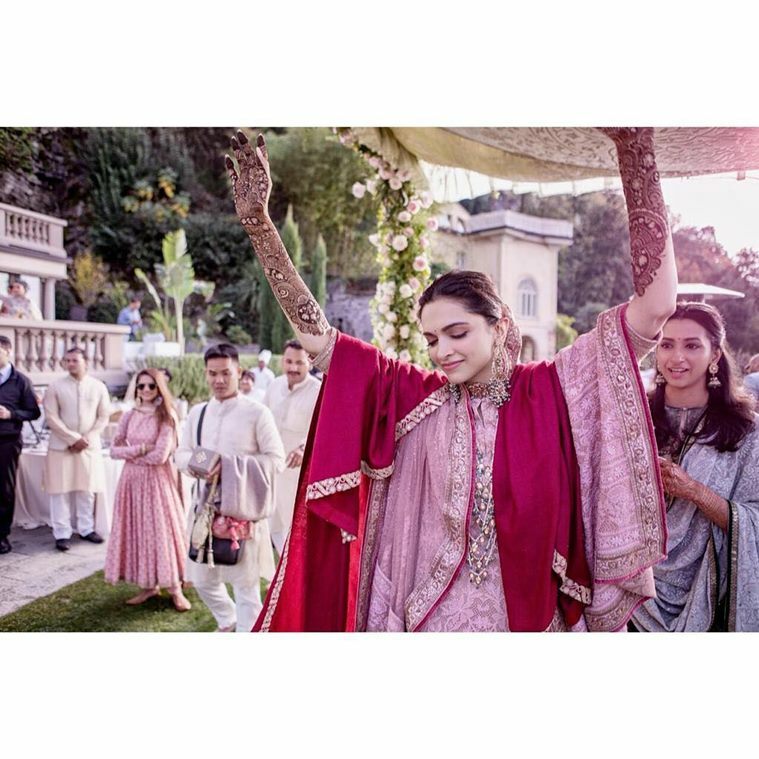 Now after having all the rituals of wedding, DeepVeer finally posted their insider pictures of Mehndi ceremony which was their in November 13, 2018, which takes their fans in cloud nine, since Deepika Padukone is flaunting in her pastel pink embroidered outfit with carrying a decadent marron shawl over it, which gives her look a signature touch to her outfit, whereas, Ranveer wore a chic Anarkali agrapha with embroidered Bundi on it, which featured him as a perfect Indian cultured man. 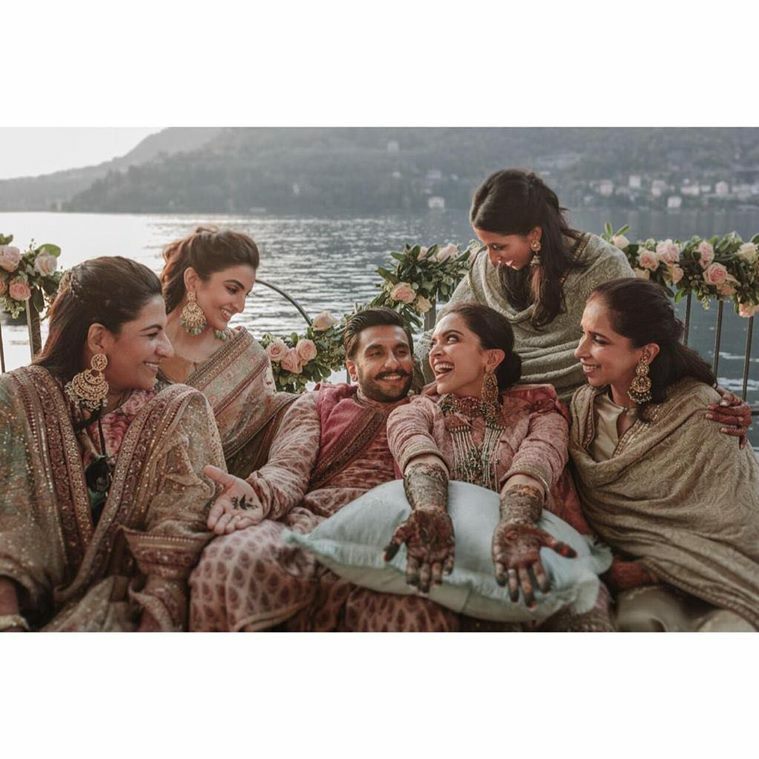 Ranveer Singh and Deepika Padukone depicting as the best-wedded couple with all the rituals and ceremonies performed in a decent manner, but with all the fun and enthusiasm as shown below in the pictures. 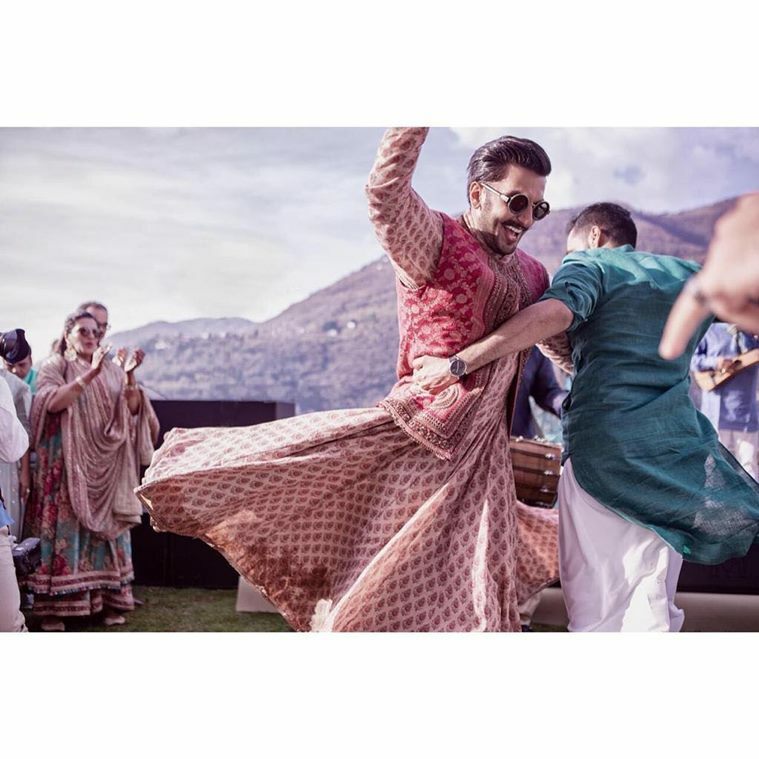 In the Mehndi pictures, both are looking adorable in their cultured outfits sorted with signature pastel pink colour which gives Ranveer, a perfect look of the Dulha, whereas as Deepika is again shining over and mesmerize everyone with her dancing pictures flaunting as below. 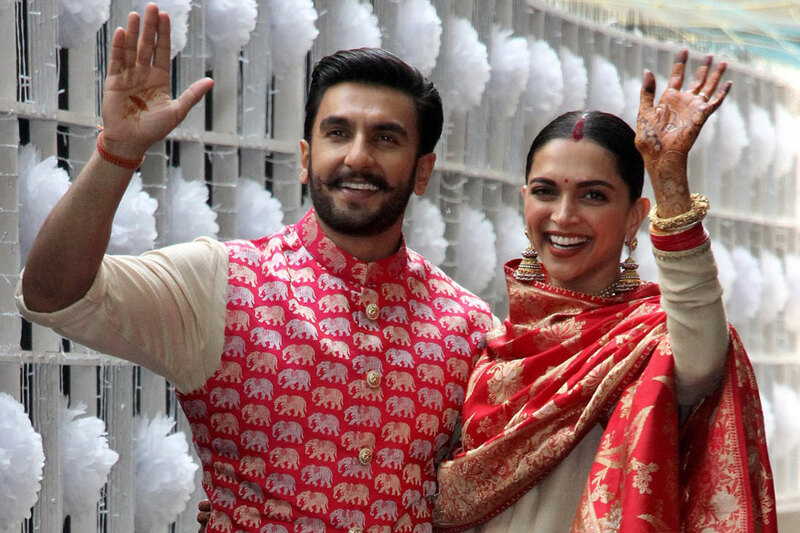 Deepika, all sitting in her couch by dipping her hands with mehndi, which gives her a perfect look of a perfect bride whereas Ranveer dancing in his cotton chic Kurta looks like a perfect groom. VeerDeep mehndi pictures resemble straight carried out from a fairy tale, as both look exceptionally cute and adorable, where the guests even couldn’t leave their out from them. 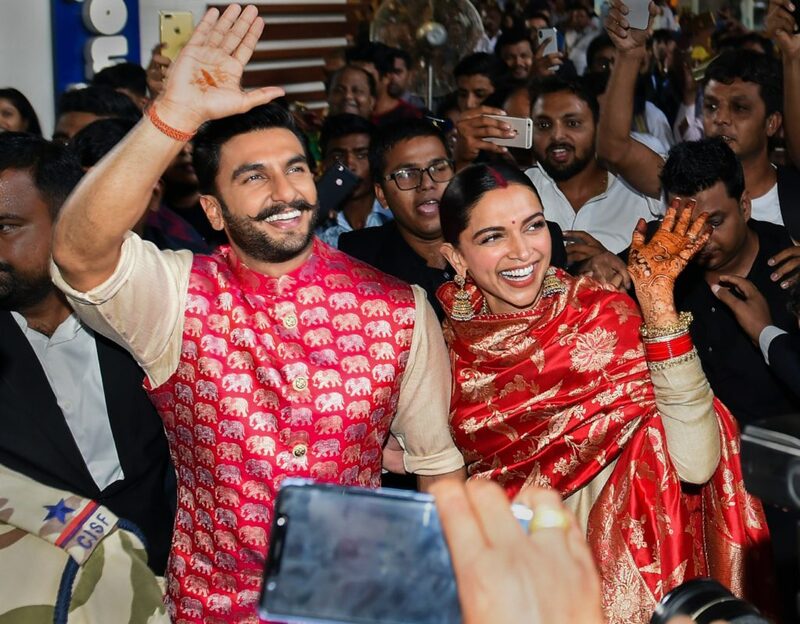 Ranveer Singh and Deepika Padukone performed their wedding rituals with two traditions, one in a Konkani tradition which was held on 14 November 2018 and the other in the Sindhi style, by having Anand Karaj in full North style which was held on 15 November, 2018, which gives both the families to enjoy their individual customs with togetherness and ample of happiness. 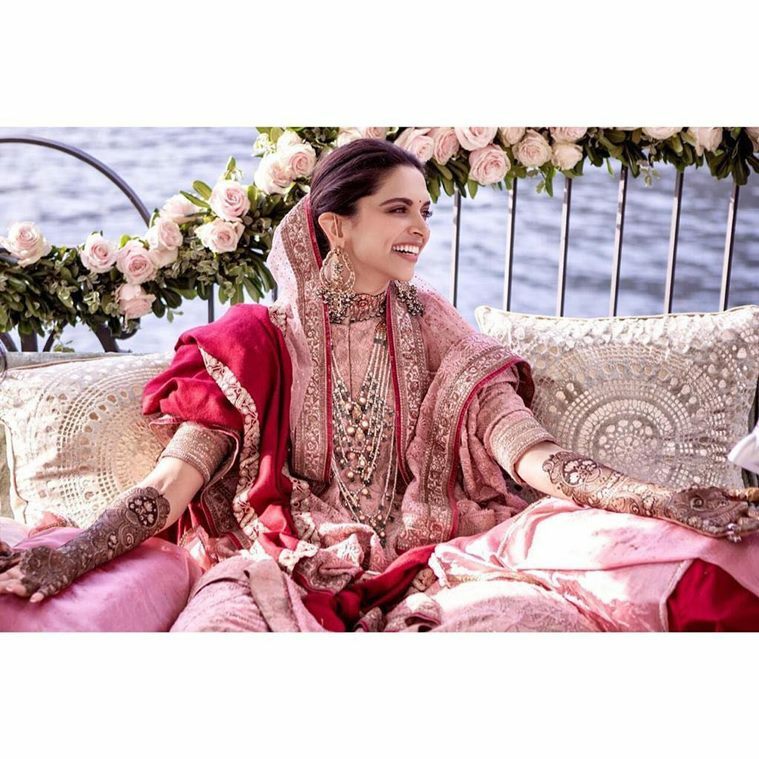 Deepika was just flaunting in her Konkani –style wedding in her red saree with golden intricated embroidered work, purely a Sabyasachi collection, giving a perfect glimpse of a perfect Konkani bride. 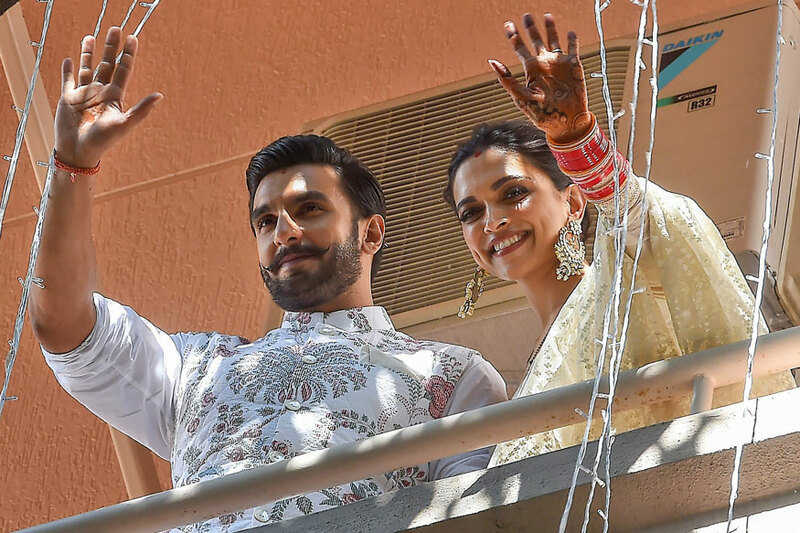 Ranveer Singh also tapped with white dhoti with white Sherwani but with some golden intricated work in his Konkani-style wedding and looks like a complete wedded man in the attire which truly compliments his massive personality. Both the couple, all together gives a perfect look over their white-gold theme, of their Konkani wedding, where they are parcelled with all Konkani rituals such as they served on banana leaves and where the food ended with filter coffee which was flown from Bengaluru to Italy just for their auspicious wedding. They clicked together with some amazing pictures posted with gleamed happiness and perching of togetherness and purity. 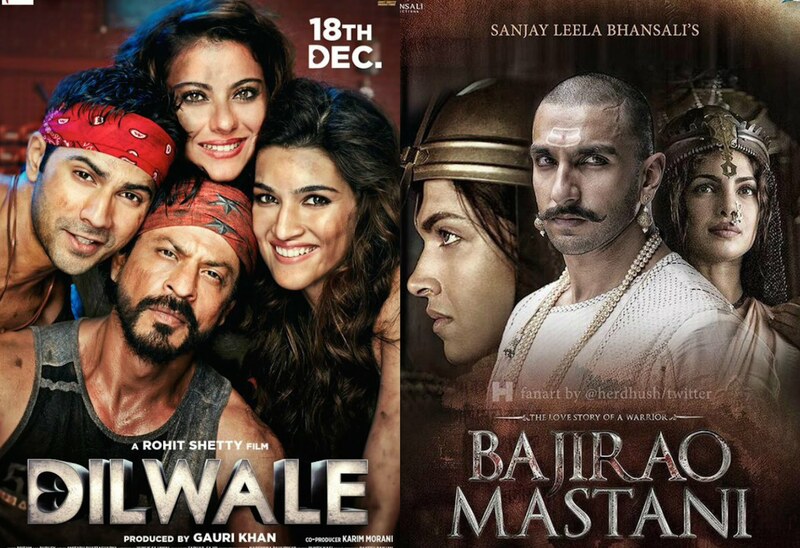 Here are the pictures depicting where South meets North intrusively, giving a perfect match of perfect couple goals and trending perfect Bollywood couples. Now, following the wedding alleged with Anand Karaj ceremony in the luxurious villa of Italy. 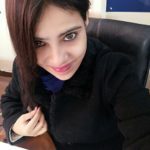 The rituals were performed on 15 November 2018, as per Sikh wedding rituals but their the Italian Sikh organization were obstructed because they have taken Guru Granth Sahib out of its place, to 150 km away in Brescia in their wedding venue, Villa in Lake Cosmo, which is a kind of disrespect as in the eyes of the Sikh community. But later on, to officiate their wedding with no more trending rumours and not to violate any law or ritual, they went to the gurudwara to take pheras and sit and pray in front of Guru Dev Ji and to officiate their wedding ended up with right rituals. Both the couples, Veer Deep look as a perfect match in their red outfits. 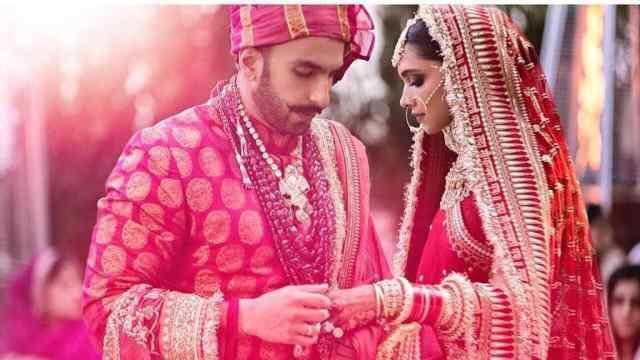 Deepika Padukone flaunted every future bride with her appearance in her red lehenga, with Chooda, Nath and chunni, and enlightened every girl’s eye, and is perfectly complimented in this Sabhyasachi creation whereas, Ranveer Singh also complimented perfectly as a perfect Punjabi groom in red ensemble, by completing his look with a red turban and took a look of perfect complete man, and stunned every single eye. 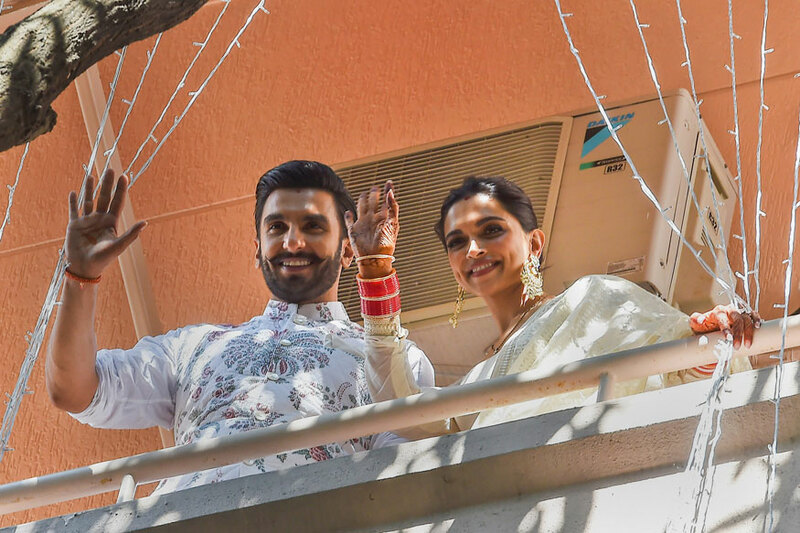 Deepika and Ranveer after dating for last six years tied a beautiful knot for the lifetime with complete vows and rituals with all the love of their family. Their fans addressed them together with a beautiful name as VeerDeep. They are trending among the best Bollywood’s best-loved real-life couples. 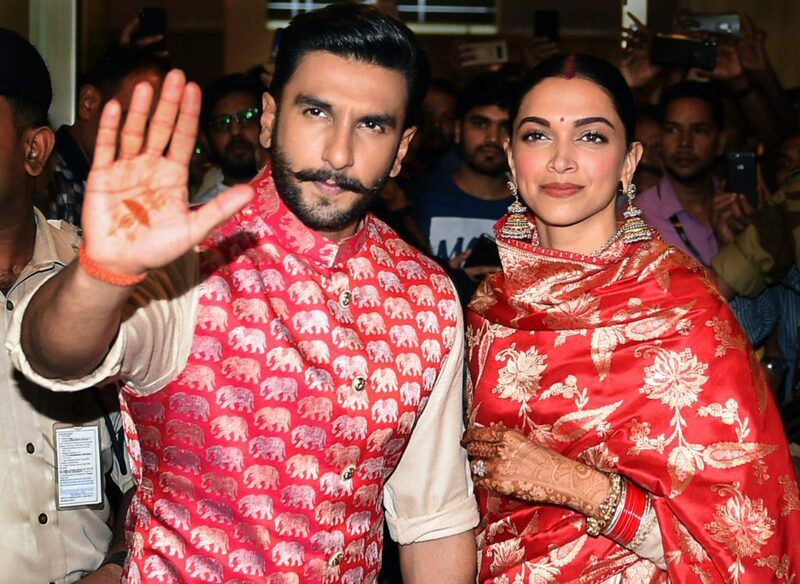 Ranveer Singh and Deepika Padukone spotted at the Mumbai Airport on Tuesday, who were moving to Bengaluru, for their wedding reception at the Leela Palace in Bengaluru, it is Deepika’s born place. 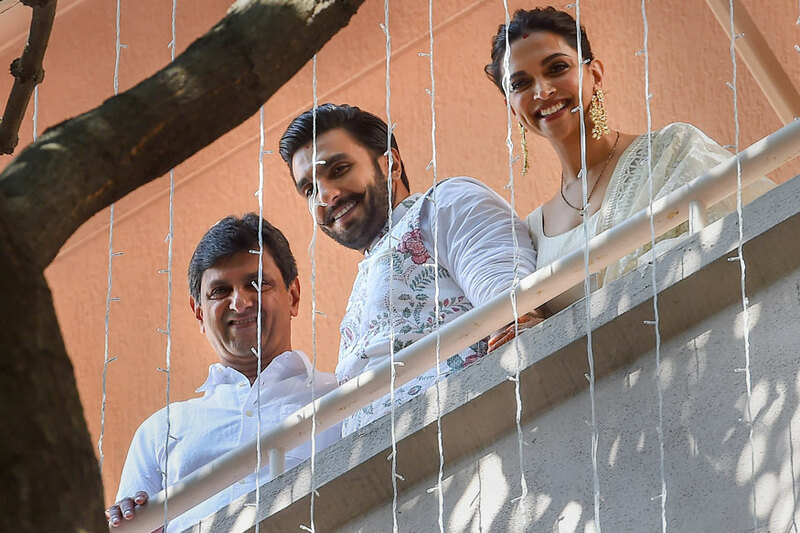 Moreover, VeerDeep planned their 2nd reception in Mumbai on 28th November 2018, at the Grand Hyatt, where many Bollywood celebrities will mark their regime and applaud the ceremony with their auspicious appearances.